Lee Rainboth has been a long-time supporter of Indy Convergence, initially making our acquaintance in Haiti several years ago. 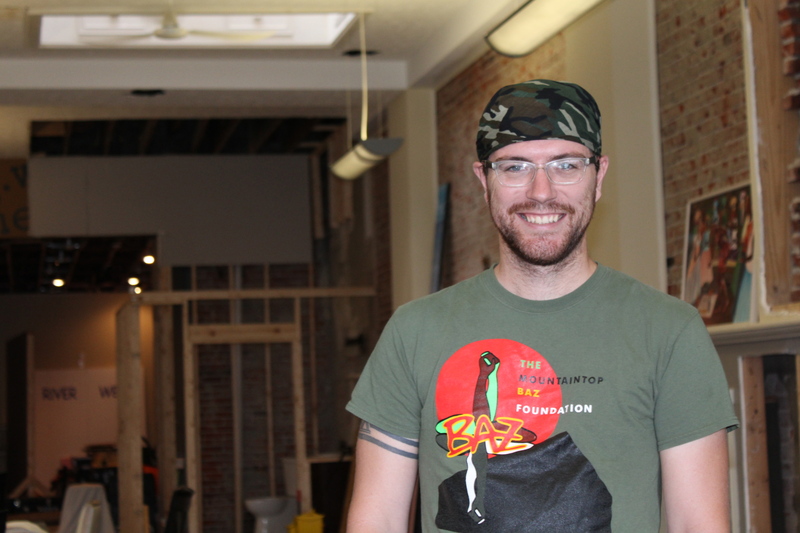 Lee is here this fall to help us with projects at the new space and various other community events. He continues to be an inspiration to our work here, and we’re very grateful for his support during this time of transition. Even though he didn’t come from a particularly artistic family, Lee always knew he wanted to be an artist. After graduating from Iowa State University with an art degree, he took a position with a fair trade non-profit organization in Haiti. Nine years later, he still calls Haiti home. Now, he’s a full-time artist painting mostly portraiture. The figures in his work are surrounded in colorful patterns and sequined borders. The work is colorful, energetic, and down to earth. Check it out at leerainboth.com. In addition, Lee is a member of our Board of Directors bringing a valuable perspective for the visual artist. His experience as a professional artist in combination with community engagement is a great asset to Indy Convergence as we hope to expand our outreach and continue to be relevant to all artists in our community.